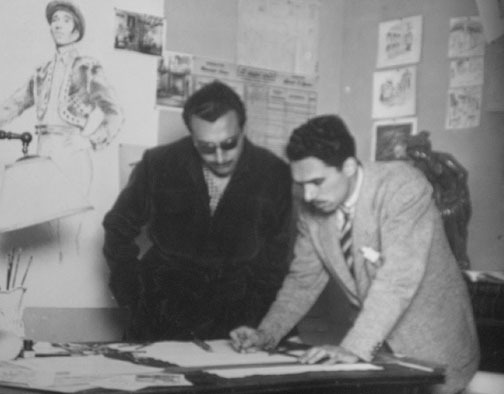 Spanish Art director Juan Alberto started his career at the late 30´s as draftsman at Orphea Studios in Barcelona. At the early forties he was assistant of Pierre Schild who introduced him on the use of perspective tricks like foreground miniatures, glass and matte paintings. Art director Juan Alberto used hanging miniatures very often for ceiling on his films during the forties and fifties. 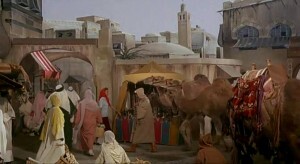 He executed also matte painting from time to time when required. 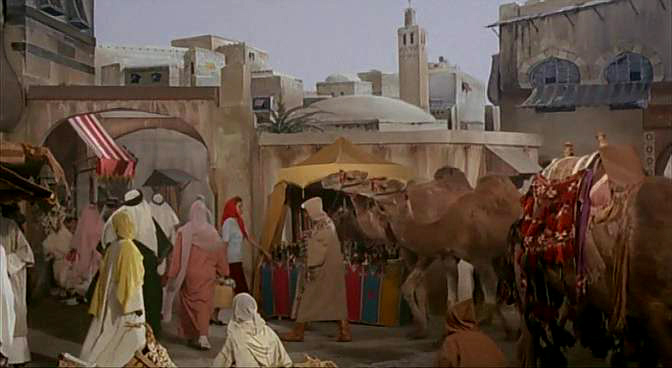 Matte shot of the upper part of the set for Toto de Arabia. Two matte paintings that Juan Alberto made for Gaudi. Posted on 18 February, 2014 by Domingo Lizcano. Permanent link.